So you usually travel with friends and have a hard time figuring out who paid what and who owns whom how much? Then you'll definitely need to check out this Splittr app. There are lots of expense splitting apps out there, but most of them are only able to handle a single event (like dinner or lunch). 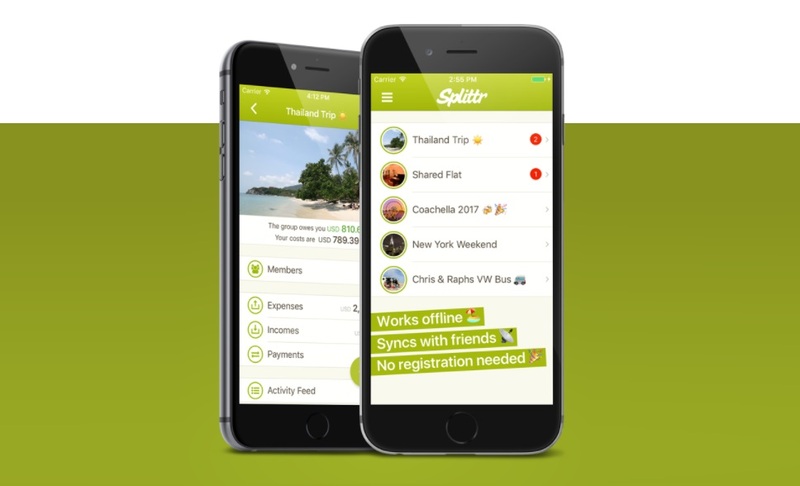 Splittr is in a completely different league, as it can handle things like vacations, road trips, and whatever complex scenario with multiple sharing expenses and paying for different things (os different amounts for the same thing). And in the end, instead of having to waste hours accounting all expenses, the app simply tells how much anyone has to pay someone. For instance, you're heading out for a long weekend with friends, with some paying for the gas, others paying for food, others for accommodation, and tossing some special dinners into the mix where some people ordered different things and paid different amounts. That certainly would be nasty to figure out, but Splittr takes care of that for you. The latest 2.0 version is just out, and it adds the most requested featured of expenses syncing with friends. So, there's no more need for a single person to have all the work of entering the expenses. Now, each member of the group can do it for themselves, making it even easier and practical to use. Currently, Splittr is only available for iOS, but there's an Android version coming soon as well.